Jessica and Krystal at a Made-To-Order (MTO) launching event for fashion brand Jimmy Choo in September 2014. Click pics for full res (~1000×1500). The Jung sisters in vol.70 of 1st Look Magazine. Photos taken in New York, the trip was also featured in their very own reality show in June. 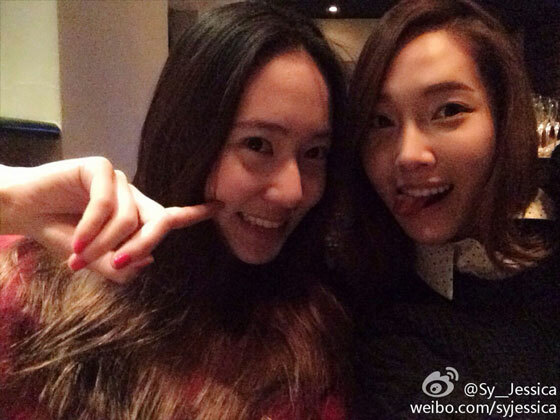 Jessica’s Weibo update, hanging out with sister Krsytal on Valentine’s Day. 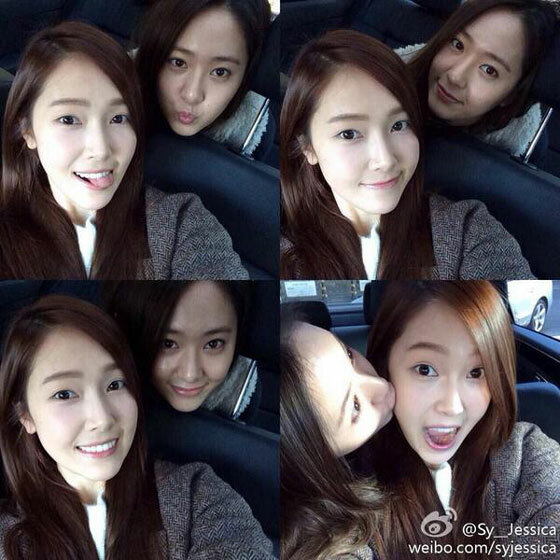 Jessica’s Weibo update – going on a “fun fun fun” date with sister Krystal. Endorsement photos for Stonehenge 2013 Masterpiece collection, featuring Girls’ Generation’s Jessica and her sister Krystal of pop group f(x).